SMA hosted a speaker session presented by Mr. Michael Fabey (Independent) as a part of its Future of Great Power Competition & Conflict Speaker Series. 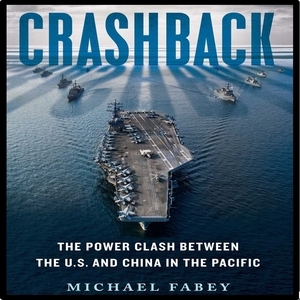 Mr. Fabey began by stating that Chinese decision makers are very strategic, long-term thinkers; however, they are now becoming impatient and are looking for an opportunity to increase their military and global economic status. He suggested that this impatience will lead China to take more risks, and US decision makers need to factor this into their calculus. He then spoke about Chinese culture, highlighting several comparisons between Chinese and American citizens. He explained that, in general, Chinese citizens do not perceive the US or the West as an enemy. Chinese citizens generally admire the US and the West, especially its culture, but feel like China is being “held back” by them, according to Mr. Fabey. He also spoke about how Xi Jinping holds the domestic power and international influence that Mao Zedong did not, and he discussed the similarities and differences between Chinese and American military officers. He also stated that the Chinese navy is more advanced than the US thinks. Mr. Fabey concluded by foreshadowing what actions China may take in the South China Sea, discussing two schools of thought in dealing with China that have formed among US decision makers, and stressing that in China, everything is a negotiation, including war.